Recently I took the opportunity to work on a project for an elearning charity. I designed this short interactive course on Pepper Processing using Evolve Authoring. Now I must admit that I really like Evolve. It’s easy to use, inexpensive and tailored for HTML5 responsive content. I also like it that the content produced in Evolve has a web scrolling interface. But I had just got my very own Articulate Storyline 3 license and was excited to use it. Besides, I couldn’t imagine why anyone would be unhappy with Storyline, the King of Authoring tools, if I was paying for it. But when I checked with my coordinator, she surprised me by saying that Storyline was not preferred. It turns out that the interactive courses produced with Evolve Authoring are extremely compact. In parts of the world, where there is no internet and limited mains electricity, it’s important that lots of courses can be accommodated on a single SD card. While large external hard drives can store lots of content, it would still mean using additional power, which can be relatively very expensive. These are places where people rely entirely on small solar panels to derive power. It’s here that Evolve Authoring comes to the rescue. Interactive courses designed in Evolve and Adapt are so much smaller in size when compared with those authored in Articulate Storyline and Captivate. Small is beautiful! This is one more reason to use Evolve Authoring. Recently I watched a Google Talk by an eminent Graphic Designer. It was a fascinating talk of how MIT got its logo. What amazed me was the more-than-a-year long journey it took to arrive at the MIT family of logos. I find so many clients telling me with a straight face that they want their deliverables by “yesterday”! And most of us, designers and developers, actually try to comply. While I understand that “time is money”, I don’t quite understand why so many businesses don’t realize that “all good things take time”. Jamie Curl, a successful candy maker, explains this so well, when she says “you have to give the candy that’s cooking the time it deserves”, just like “you have to give a project the time it deserves”. When making candy, you cannot refrigerate it to cool it. You HAVE to allow it to cool down naturally. Curl was invited by Google to share her recipe for success with Google employees. Let’s take a leaf out of Curl’s book and start honoring our work with the time it deserves. While we may still continue to “chase deadlines” and “firefight”, let’s begin to acknowledge that the best work is never done in a hurry. As an e-learning designer, I am fully aware of the power of e-learning. But when people equate a wholesome education with smart classrooms, the latest gadgets and glitzy learning apps, I’m reminded of The Parrot’s Tale by Rabindranath Tagore. In the story, a bird, which was meant to fly, is “educated” by caging it in a beautiful gold cage and stuffing it with books. The pundits, the goldsmith, the blacksmith, the ministers and several others in the kingdom end up “educating” the poor bird. And the funny thing is, they are handsomely paid for it. With so much investment and noise over the parrot’s “education”, the King and all his subjects (except a few naysayers) are convinced that the parrot is being well educated. The end is tragic. It’s amazing that Tagore wrote this story nearly 100 years ago and it is still relevant and relatable. His story highlights, among other things, the undeserved profits that many make in educating the poor bird. Today, many companies are getting huge commissions from schools and parents for their ill- designed, but well-marketed educational solutions. Simple, yet well-conceived, deep learning solutions, like those from Khan Academy and MIT are great. The interesting thing to note is that most of these highly effective e-learning solutions are free. It’s the gimmicky, snazzy, shrill e-learning that doesn’t always work, which can also be rather expensive. So let’s not be fooled by the investment and hype around e-learning solutions. Let’s critically evaluate how effective the e-learning actually is, before endorsing it. If you want to read The Parrot’s Tale, you can find a translated version here. As I was making updates to my website, I realized that my blog had been defunct for over 2 years. I’ve decided to start blogging again. But I don’t have the time to write a blog post? In fact, does anyone have the time to read a blog post? Most often, most of us are simply skimming through web content. So I’ve decided to make it simpler for my readers and for me, by keeping my blog posts short and sweet. From now on, you will find me posting short posts, at regular intervals. In this post, you will be directed to my interview for Sheroes.com. In the interview, I share my views on freelancing with Sheroes member, Sonia Desphande. Visit the link here. In part 1 of this blog post, I gave you a brief history and background of the storyboard. In this part, I’ll talk about the popular storyboard formats and the steps for creating an effective storyboard. I shall end the post with my top tips on storyboarding. Today, the two most common storyboards formats in the industry are Word and PowerPoint. While there is no right or wrong format, each of them has its pros and cons. Eventually, it is for the ID to weigh both options and decide which format will work best for the specific course. PowerPoint is better suited for visuals; it isn’t really a good choice if a lot of textual information needs to be represented. A PowerPoint storyboard gives a good visual presentation of each frame. Each slide may come really close to what will finally be developed. However, editing and reviewing the storyboard can be tricky. Word on the other hand, is so much easier in terms of working with text and comments. Reviewing and copy-editing are relatively pain-free. The downside is that it is hard to get a real feel of the final course in Word. Those relatively new to e-learning may not fully comprehend the final outcome of a storyboard in Word. So even after multiple reviews, a Word storyboard is more likely to be altered at an advanced stage. Now that you are convinced of the need to storyboard and know how to pick a storyboard template, let me guide you step by step on how to storyboard. Identify the learning objectives: The very first thing to do is find out the learning problem and your target audience. Study and ask questions about what exactly is expected from the learning solution. Based on your study, identify the learning objectives. Never lose sight of the objectives. Organize all your materials: Ask the stakeholders, including the SMEs, for all the raw learning content that they can provide you. Determine how you are going to use the material. Choose your storyboard template: Based on the kind of project, choose an appropriate storyboard template and customize it for your specific needs. Choose your instructional design strategy: Decide on the instructional approach you will use. You could use a scenario-based approach, a conversational approach, a game-based approach or even a simple page-turner approach. A favoured option is a combination of many approaches. Sequence and chunk your content: At this stage, you have to put pen to paper. Sequence your content in the order that is best suited for effective learning. For the learner to absorb information easily, present your content in small chunks. Maintain a natural flow throughout. Review: Once you have created your storyboard, review it for accuracy of facts, language and grammar, instructional design strategy and 508 compliance. As in any process, the importance of a review cannot be emphasized enough. To create powerful e-learning, you must begin with an outstanding storyboard. Here are my seven key guidelines for storyboarding awesomeness. Push the envelope. Use innovative strategies and your imagination to make your storyboard stand out. Ask a question, use a quotation, add a conversation, or bring in an analogy. For example, instead of a boring five-point bullet list, show the points on the image of a hand; one point for each finger. Balance all the elements of a storyboard, specifically the visual and audio elements. Make sure your narration is not a word-to-word replica of the onscreen text (OST). Crisp, short OST is preferred when there is a lengthy audio playing simultaneously. The learner should be able to scan the text quickly when the primary medium is audio. When the text is long, the audio can be short. For example, when an entire case study or problem is displayed on screen, there needs to be very little or no accompanying audio. The learner will be able to concentrate on reading the case study or problem without being distracted by an accompanying audio. A picture is worth a thousand words. Humans are visually wired and learn a great deal more and faster when the learning content is visual. Your visuals should never be an afterthought. Choose meaningful graphics and videos with high recall value. Work on an engaging tone throughout the storyboard. The tone can be developed, in particular, in the introduction, slide transitions, examples and conclusion. For a conversational tone, make use of contractions in the narration. Change the frame style every few slides, while keeping the overall theme intact. Ensure your slide transitions are smooth. Beware of scope creep. It is normal for a storyboard to go through several rounds of revisions before it is signed off. However, once it is signed off and production starts, changes to the storyboard can be a costly affair. Make sure that all the stakeholders are aware of this. If you are developing device independent e-learning, you must be clear about what is allowed and what is not, even before you begin storyboarding. With these tips, you can create some excellent storyboards. If you have more good ones, please share them in the comments section. When I entered the e-learning industry, the concept of the storyboard fascinated me. Here was a document filled with graphics, dialogues and instructions that formed the crux of the entire e-learning development process. I quickly figured out that the storyboard is the most important tool of an instructional designer. If an ID has carefully conceived the storyboard, and if that storyboard is well understood and accepted by all the stakeholders, then half the battle is won. Like the blueprint of a building, a storyboard is a visual representation of how an animation, film or e-learning course will look after development. It is a vital tool that helps organise the various elements (graphic, audio, video, text and branching) in every screen of an e-learning course. In ancient times, before script evolved, events and other relevant issues were represented pictorially. Therefore, in a sense, the early cave paintings are one of the first storyboards. 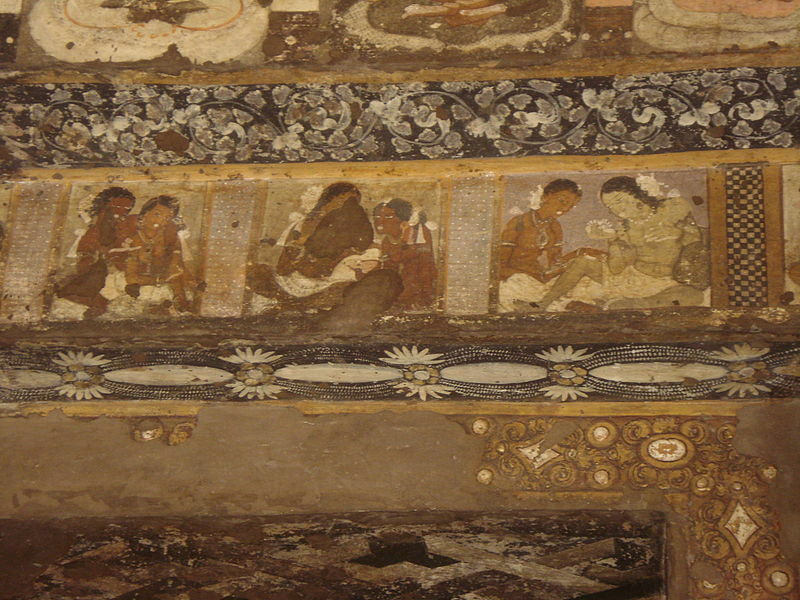 By that reasoning, you would agree that the Ajanta frescoes are brilliant storyboards from ancient India. The modern storyboard, however, is credited to Walt Disney. He came up with the idea for his animation films in the 1930s. His storyboard was a series of detailed sketches that depicted the entire sequence of frames in his film. While the e-learning industry has made a few changes to Walt Disney’s storyboard, the concept remains the same. Storyboarding: Do You Really Need It? So, what if you didn’t storyboard? What would happen if you dived straight into development without a storyboard? After all, storyboarding comes at a price. A storyboard is finalised after countless hours of agonizing over seemingly insignificant details. When you do away with storyboards, you can save so much time. Or can you? To answer this, just imagine building a house without a floor plan. Do I hear you say, “that’s crazy”? Well, it’s the same with e-learning. If you developed a course without your blueprint–the storyboard–you can run into serious problems later on. Without the storyboarding phase, the risk of complete failure of your e-learning project is very real. Title Section: This section presents basic details about the project and the slide. The project details could include the course name, module name and lesson name. Apart from the project details, the frame/screen title and frame/screen number must also be specified here. Additional details like approximate seat time of the screen, type of frame and objective of the screen may also be given. Visual Section: This section shows us how the screen will look. Graphics, video and onscreen text are placed here. If there is a lot of onscreen text, it may be a good idea to have it in a separate sub-section. This will make it easier when you want to edit and proofread the onscreen text. Audio Section: The voice-over text, background music and the audio effects are given in this section. You could also choose to provide a pronunciation key for hard-to-pronounce words or acronyms, if it is required. Instructions Section: Instructions on how the visual, textual and audio elements are to be treated are mentioned in this section. The graphics or media team will be focusing on this section. Interactivity and Navigation Section: As the name suggests, all the interaction that happens on the screen is given here. The branching and navigation that take place in the screen are listed in this section. The programming or developer team will focus on this section. In the next part of this post, I will explain how to create a storyboard. Instructional design… so what is it that you do? “What do you do?” I’m asked. “I am an Instructional Designer (ID)”, I murmur, patiently anticipating the inevitable part 2 of the question. It is usually one of the following: “Err… what does that exactly mean?”, “Instruction what?”, or worse “Industrial designer?” Over time, I have invented half a dozen responses to the all-too-familiar question of what an ID like me actually does. Depending on the situation and who my ‘target audience’ is, I tailor my response. Here is my bunch of oft-used answers. This is the most common one-liner I dish out. Although e-learning is only a part of my job profile, it’s the quickest and easiest way to describe my work to most people. With everyone downloading apps (educational or otherwise), most people have an awareness of all things digital. It’s not an authentic reply, but it’s one that gets the conversation moving. I support teachers and professors. This response is for people of the old school, who may be digitally un-savvy. They are more likely to understand my work if I explain it in terms of the teaching profession. So with them, I rarely drop terms like e-learning or m-learning. Instead my explanation of ID revolves around traditional courseware and learning theories. Just as a film director directs all the aspects of film-making, I direct all the aspects of creating a true learning experience. This is an answer for the idealistic intern, the young college student, the graphic artist next-door, and anyone who may easily open up to the excitement that lies in an ID’s world. This was also the very same answer that got me first interested in ID. When ID is compared with film making, one can easily grasp the multifariousness, the chaos and the delight of this job. I make apps like your favourite KinderSpell. This one is for kids. When a child asks me what I do, I begin by saying that I help make their textbooks. Then, I quickly redeem myself by saying that I also design educational apps. And if I want to be really popular with the kids, I could tell them I help make computer games and television programmes too, the educational ones of course. But no, I don’t make Chhota Bheem or Dora! I write storyboards for WBTs, for K-12 and corporate training. Well, as you may have guessed, this jargon-studded reply is for those in the know. It usually puts to rest any suspicions another ID may have, that I am actually a content writer, a technical writer, or even an online tutor masquerading as an ID. This is not to say an ID cannot be all of these. In fact, my last answer will clear any such notions. I play the roles of a content writer, a technical writer, an editor, a graphic designer, a voice-over artist, a multimedia developer, a proposal writer, an SME, a teacher, a student, a project manager and even an entrepreneur. Am I joking? Absolutely not! This is what I answer when I ask myself, what is it that I do. There are not too many jobs out there, where one could be collaborating, analyzing, learning, teaching, designing, creating, and making business decisions all in a day’s work. It is the multiple facets of ID that makes an ID’s job challenging and extremely fulfilling. Don’t all you IDs out there agree with me? I am curious to know if any of you reading this post have also been using similar responses. Also, if any of you have other answers to share, please do so by posting your comments below. This post was first published in the STC ID blog.